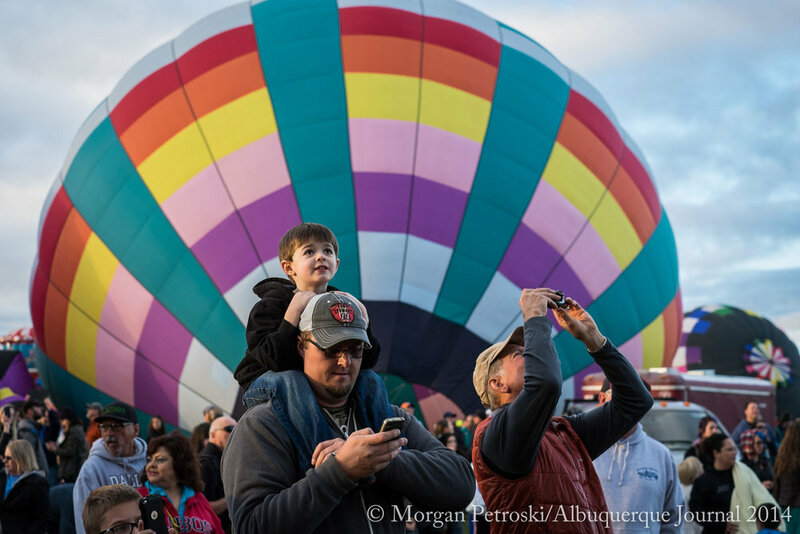 For this year's Albuquerque International Balloon Fiesta I soared above the event with KOAT, covering the fiesta from the sky. I've done this now three separate years and each year is just as exciting. It might sound glamorous but each year it means getting up around 3:30 am to get some breakfast and get to the airport in time to catch my ride. That's pretty darn early, but so worth it. Our photo staff at the Albuquerque Journal covers every single day of the nine day event each year. 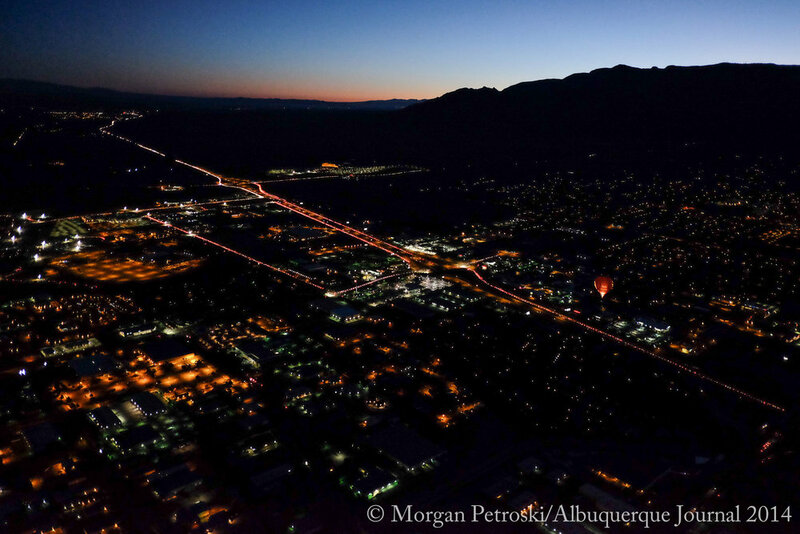 Our staff photographers are out on the ground each morning, inside and outside of the park, photographing the balloons as they blanket our city. Everyone has their favorite spots to view the balloons from after covering the fiesta for years. It's always interesting to see how everyone sees the fiesta through their lens, as each photographer documents it differently each year. 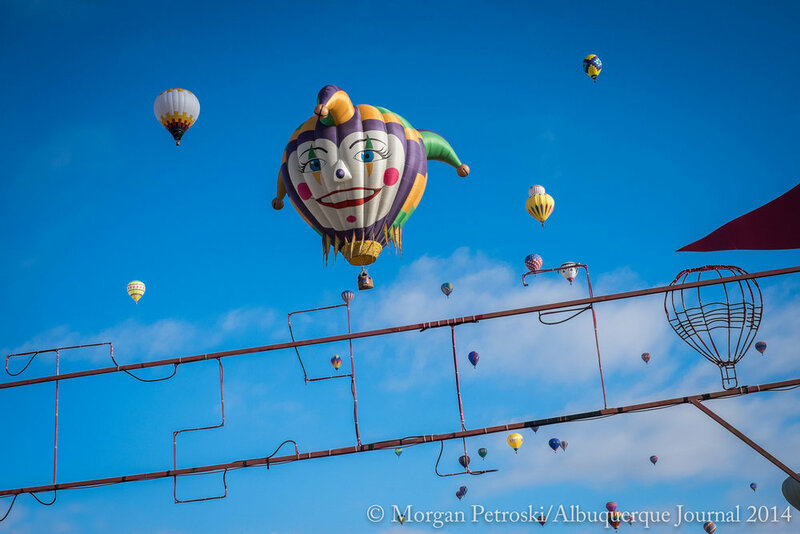 To see more photos from the entire photo staff at the Albuquerque Journal check out our gallery: Albuquerque International Balloon Fiesta 2014.